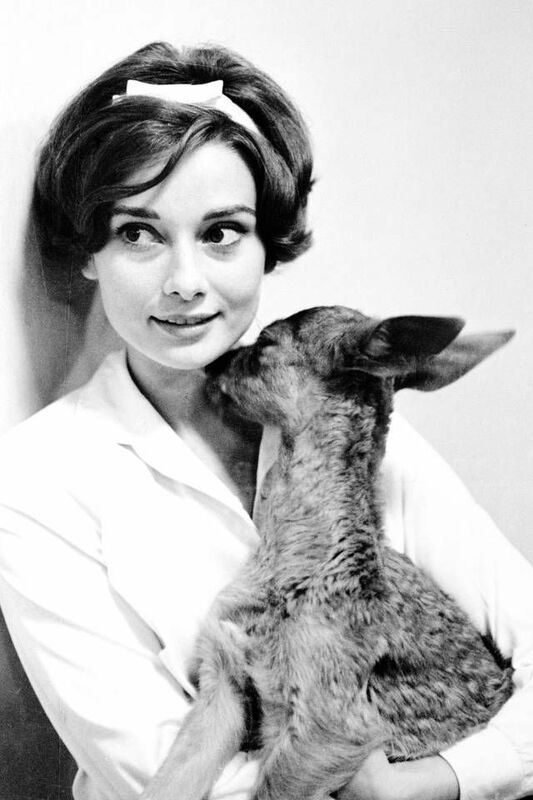 Audrey Hepburn with her pet fawn Pippin, late 1950s. 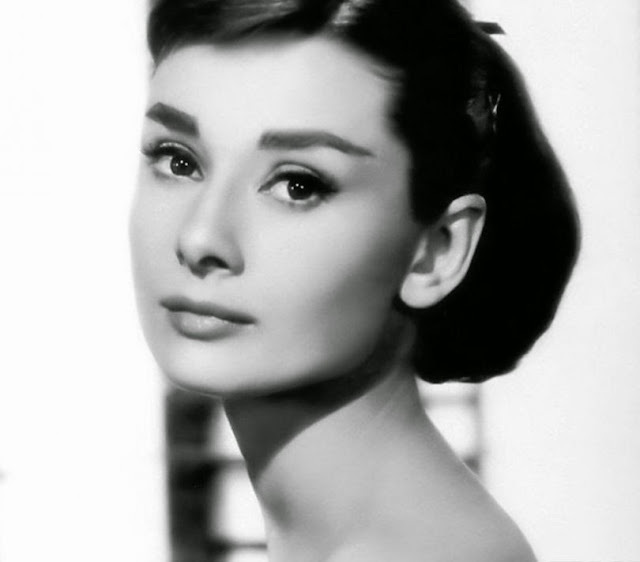 Audrey Hepburn (born Audrey Kathleen Ruston; 4 May 1929 – 20 January 1993) is an iconic Hollywood legend. Photo by British photographer Angus McBean, 1950. 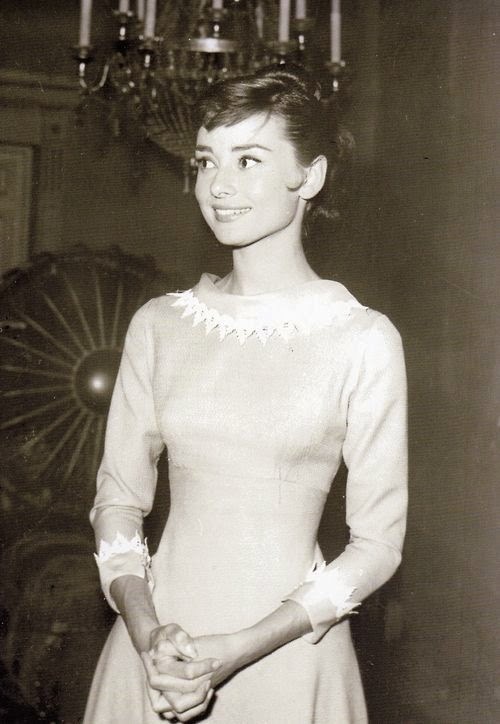 This was taken before Audrey became a star. Audregy has the type of enduring beauty that the Hollywood star system was designed to create and nourish. 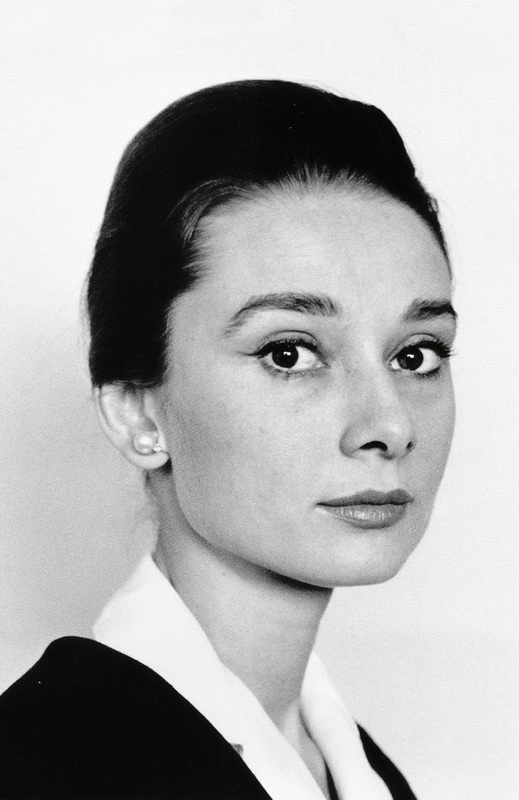 Audrey was born in a suburb of Brussels called Ixelles. 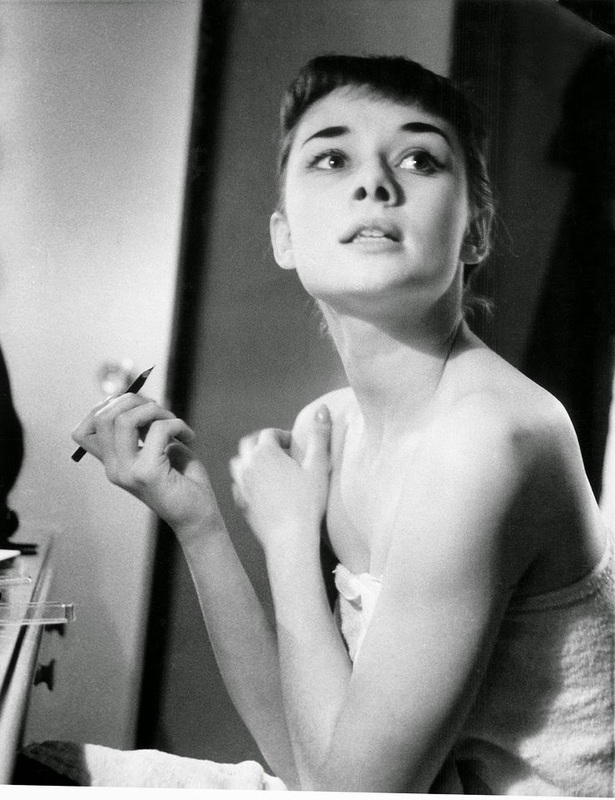 Her father left the family when Audrey was very young. 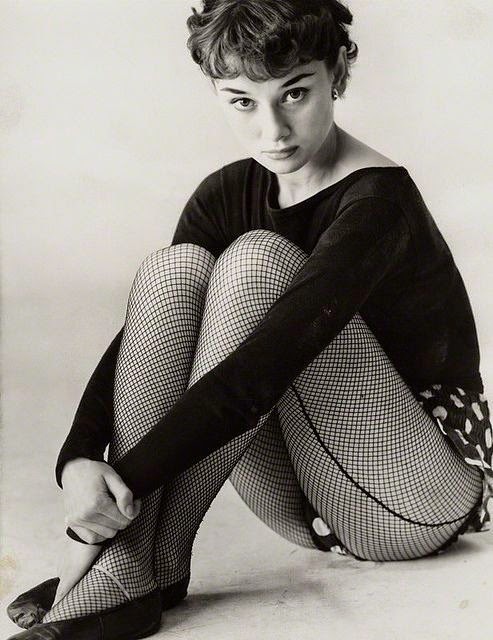 "Sabrina" by Mark Shaw, 1953. 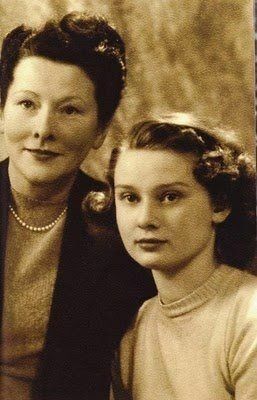 Audrey Hepburn's mother was a baroness. However, that does not mean that the family was well-off. It wasn't. 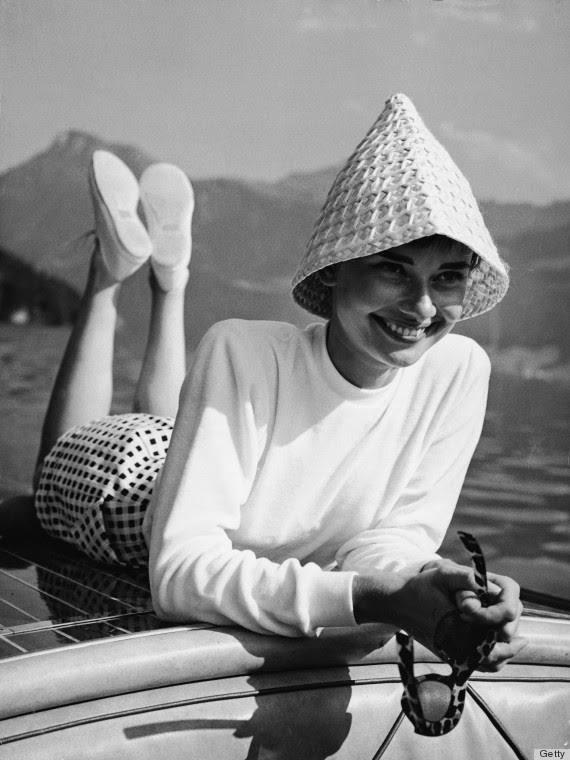 Audrey and her family suffered as much as anyone during the privations of World War II. 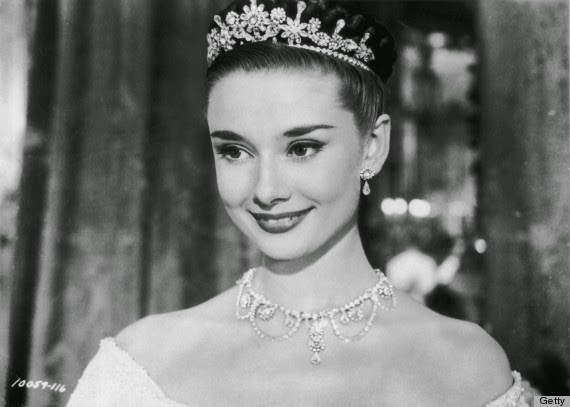 Thus, Audrey Hepburn wasn't just Hollywood royalty - she was actual royalty. The family had divided political loyalties, with her father a committed Fascist. 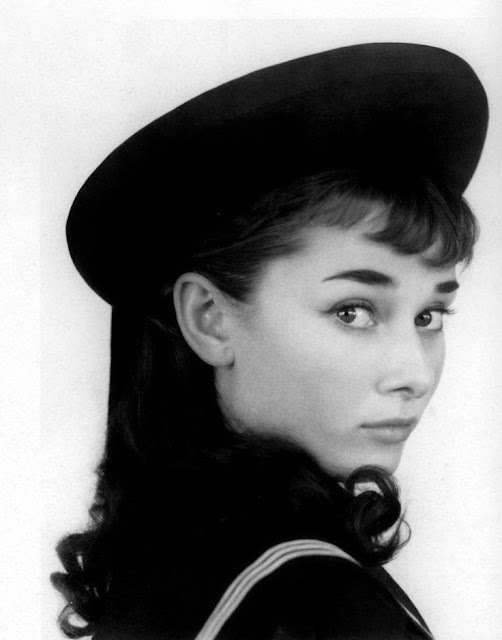 Audrey herself was active in the resistance during World War II, dancing to earn money for those opposed to the Germans. 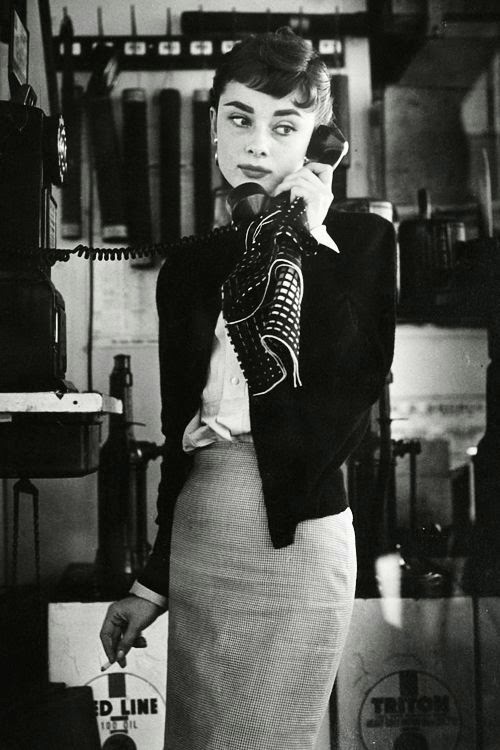 The war was very tough on Audrey, as it was for all the Dutch. There was not much food, particularly during the final winter of the war. Audrey was reduced to digging up tulip bulbs and scrounging for food wherever she could find it. She shrank to just 88 pounds. 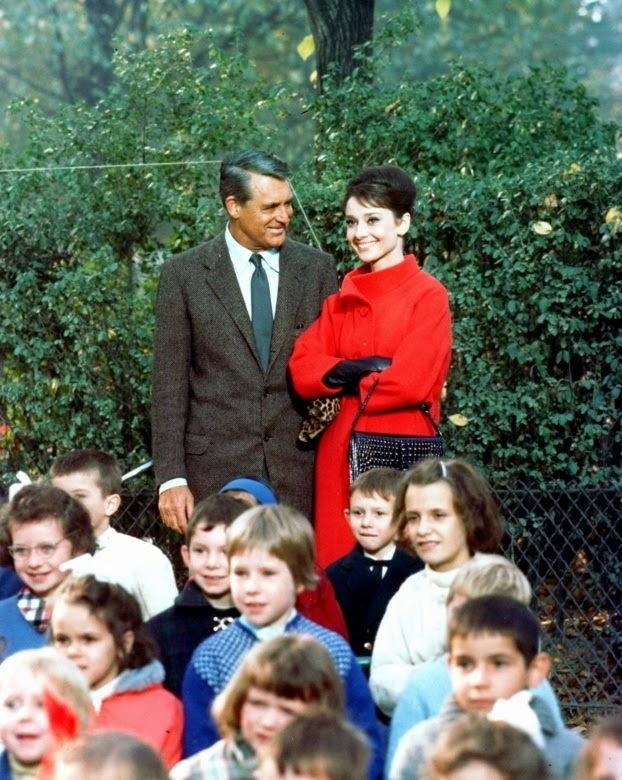 Her youngest son, Luca Dotti, recalled later in his memoir "Audrey at Home: Memories of My Mother's Kitchen" that this led to many sad habits and illnesses caused by malnutrition. "She would spend entire days in bed with a book, thus hoping to expel from her mind obsessive thoughts about food." 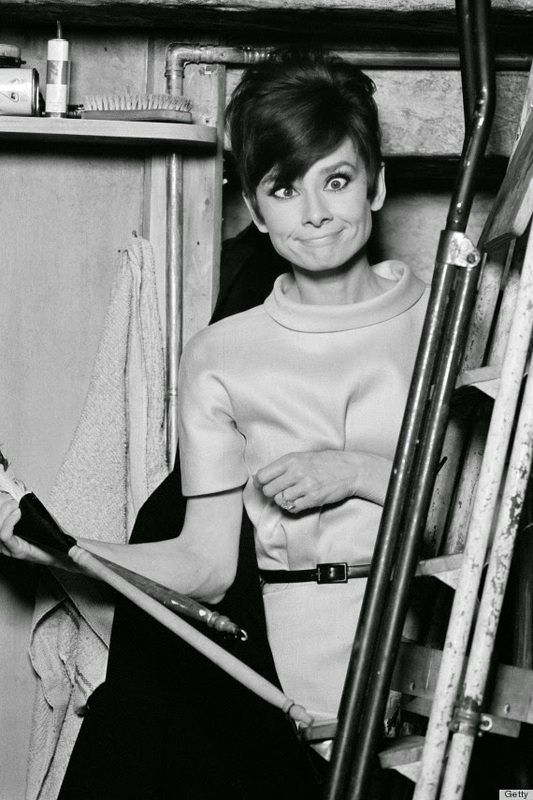 Audrey on the set of "Charade"
When the British showed up in 1945, they gave Audrey chocolate. She associated the taste with liberation and kept a supply stashed in her living room for the rest of her life. 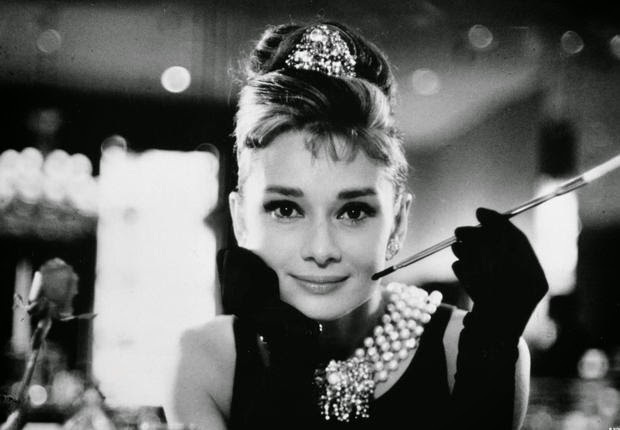 She also became hooked on British cigarettes, which she smoked for the rest of her life and unfortunately may have contributed to her eventual death from cancer in 1993. 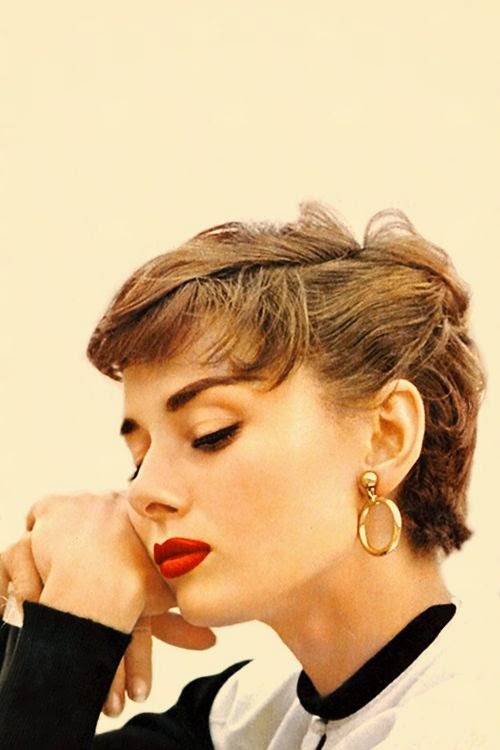 Audrey kind of drifted after the war. 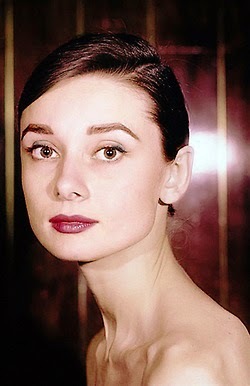 She wanted to become a ballerina and studied it very hard, but ultimately gave it up to try her luck in films. Success did not happen right away. 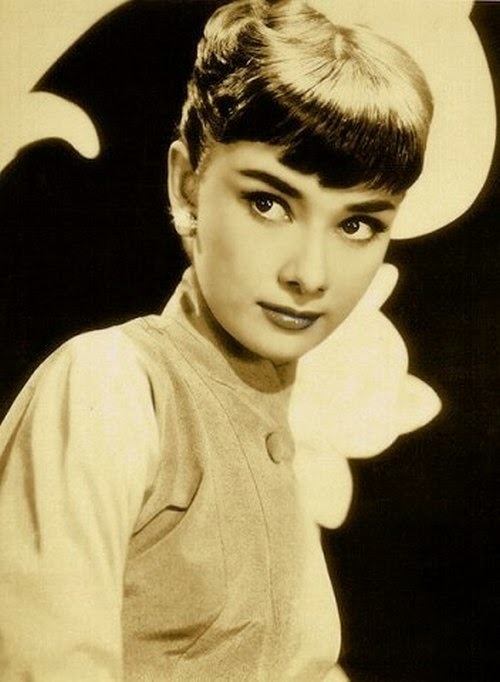 Audrey's first film appearance was in a Dutch educational film in 1948, "Dutch in Seven Lessons." 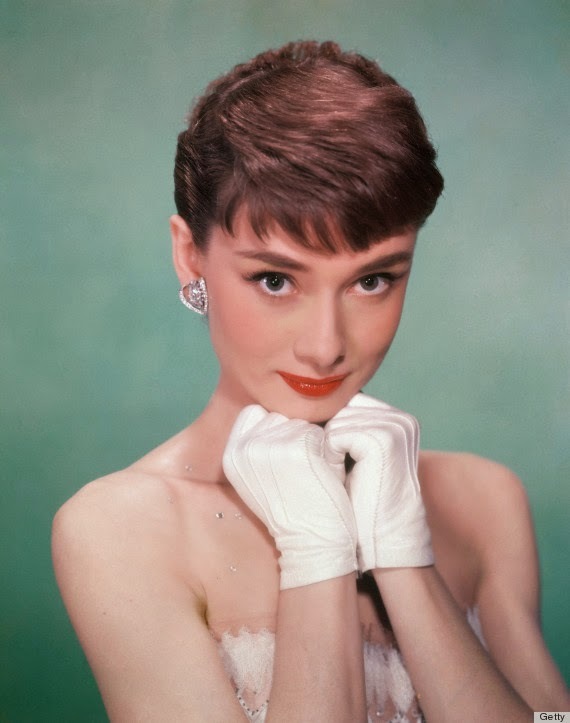 This did not lead to a break into the true film business, and she modelled, studied ballet and took roles as a chorus girl. They were hard times, and the family had trouble paying the rent. The small theater roles led her to take elocution lessons. A casting director spotted her in one of those productions, and she began getting small roles in minor films. It was a start. While filming "Monte Carlo Baby" in 1951, French author Colette spotted Audrey. 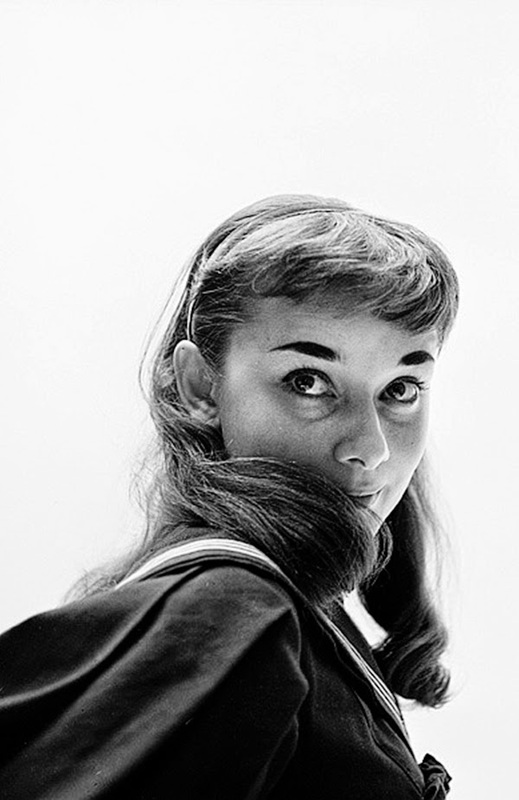 Colette liked Audrey on sight and picked her to play "Gigi" on Broadway. 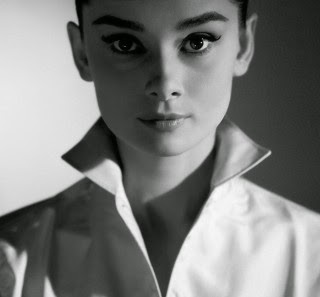 The play turned into a phenomenon, and Audrey was a star. 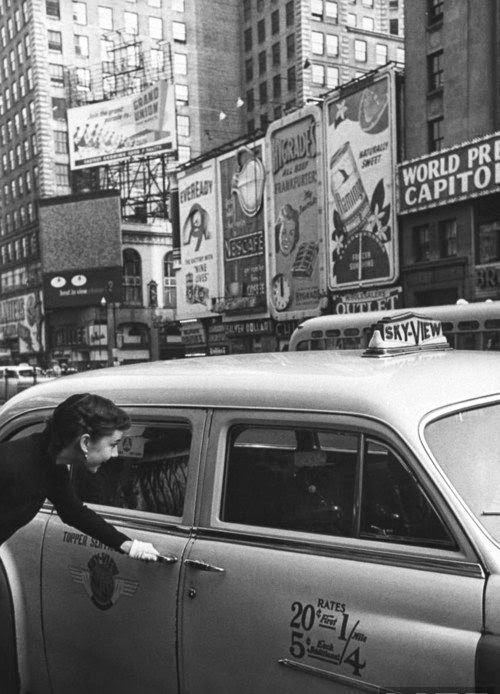 "Gigi" went on tour around the United States, finally closing for good in May 1953. 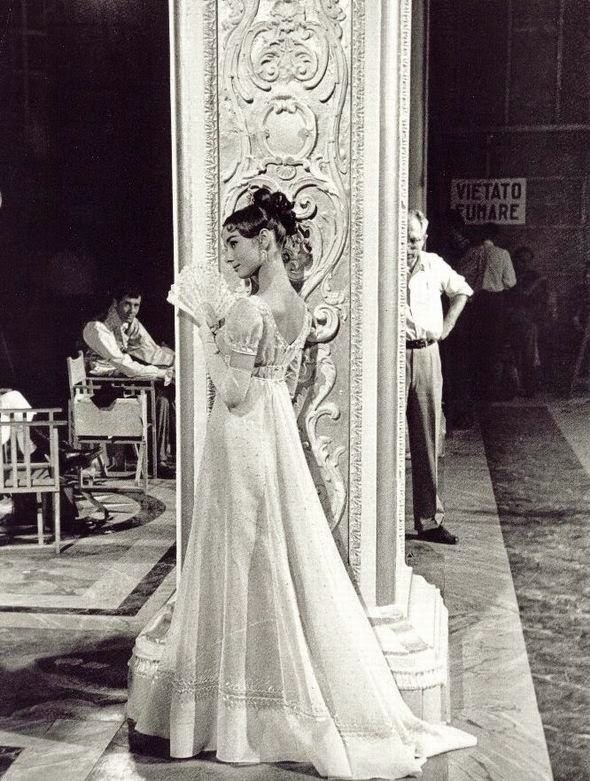 Now a well-known actress Audrey was cast in "Roman Holiday" that year with Gregory Peck. 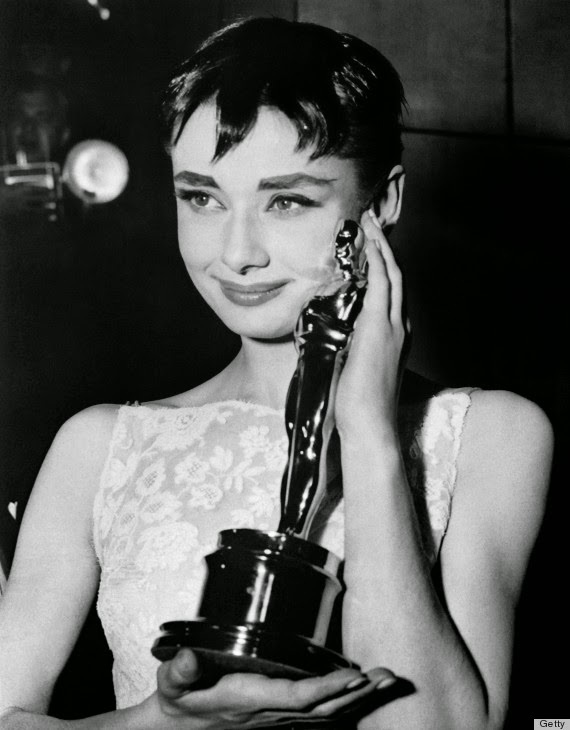 The movie was another smash, with Audrey winning the Academy Award for Best Actress. 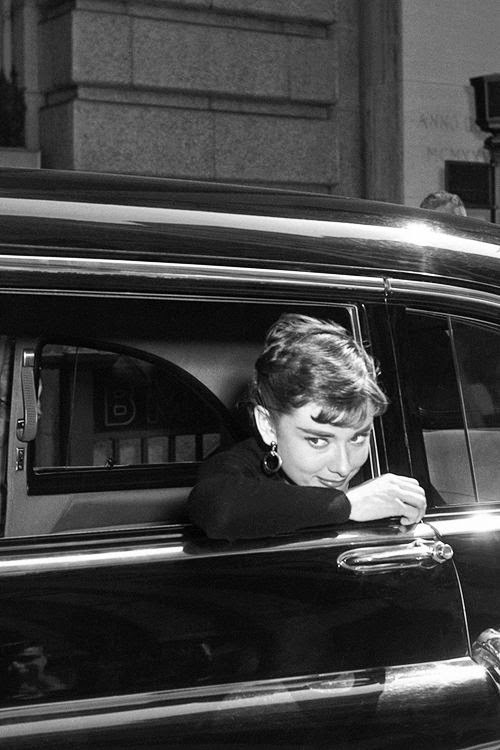 The success of "Roman Holiday" got Audrey a seven-picture deal with Paramount. 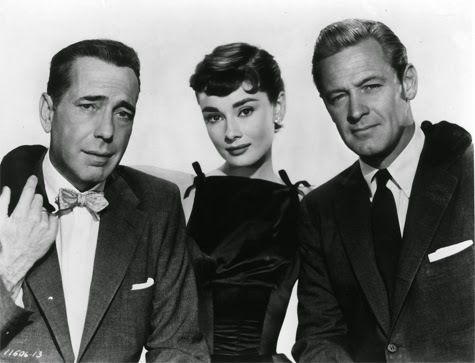 "Sabrina," a 1954 film with William Holden and Humphrey Bogart, was another smash hit. 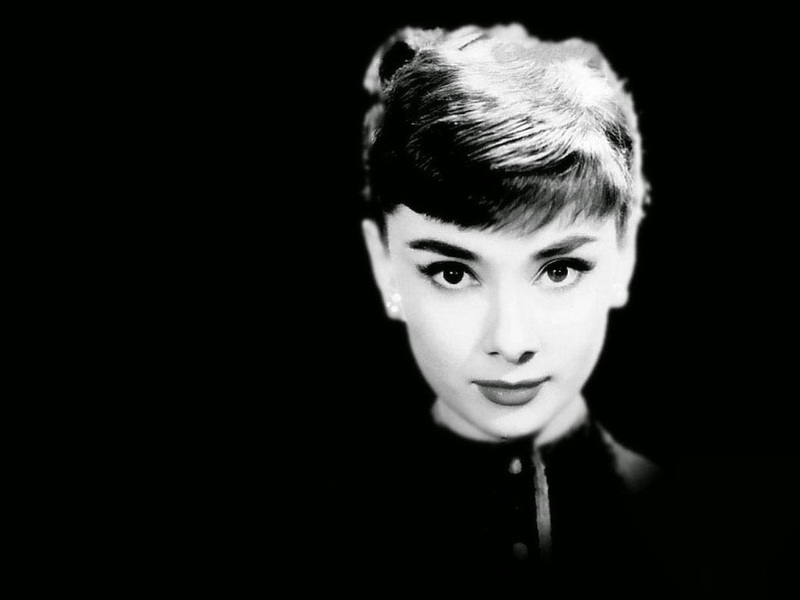 Audrey alternated film and stage work. 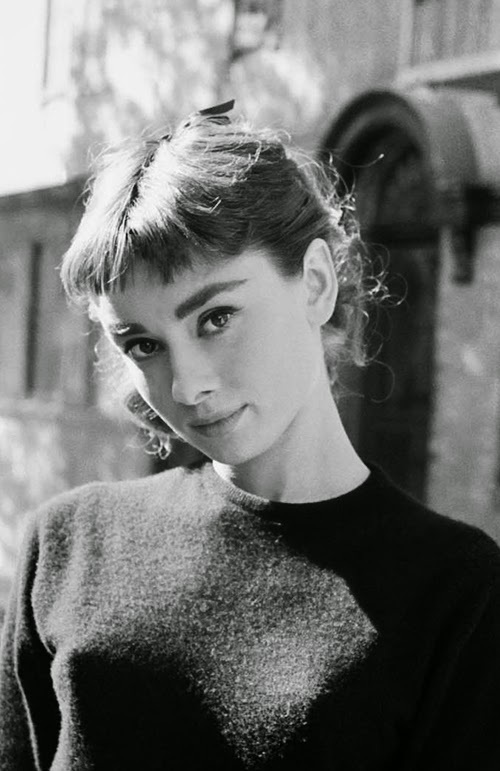 She starred in "Ondine" on Broadway with Mel Ferrer, who she married in September 1954. More iconic film roles followed. 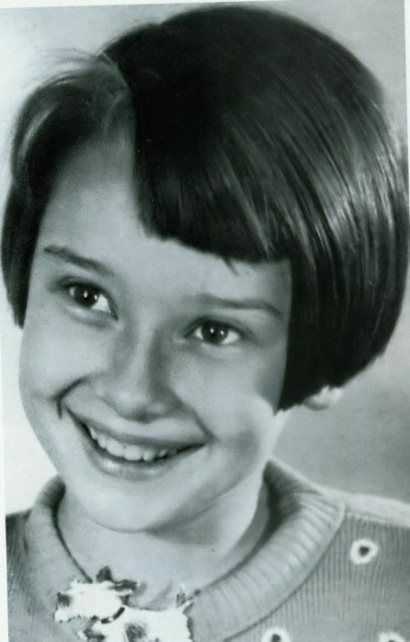 She was asked to play the lead in "The Diary of Anne Frank," as she was particularly suitable for the role of a Dutch girl. 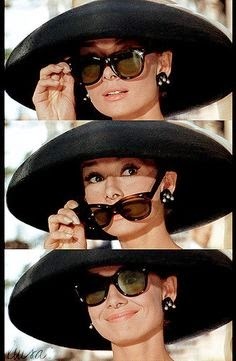 Audrey turned down the role. It hit a little too close to home. 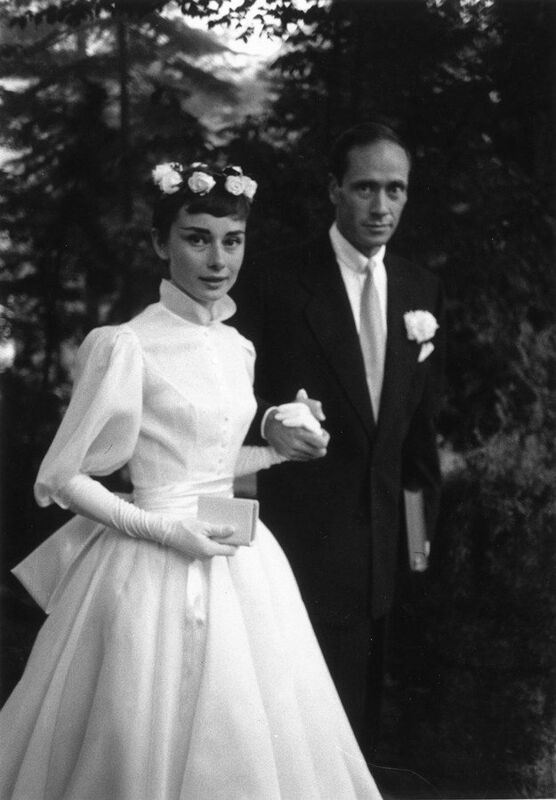 Audrey married Mel Ferrer in 1954. Their wedding photo, above, does not show much joy in either of their faces. The marriage did not last long despite the lavish wedding. 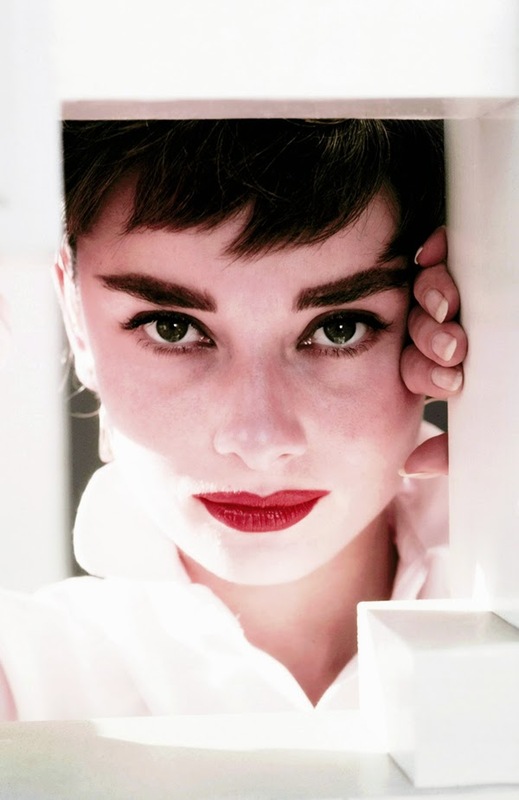 Among her subsequent films were "War and Peace," "Funny Face" and "Love in the Afternoon." 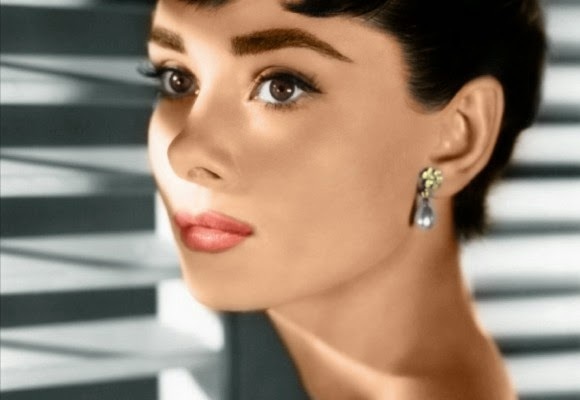 Audrey was one of the top stars in Hollywood. 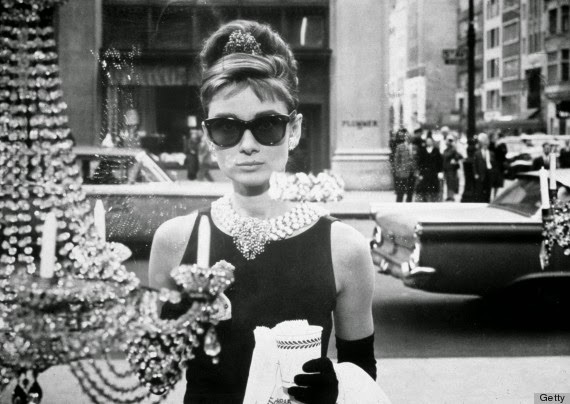 The peak of Audrey's career was her role as Holly Golightly in "Breakfast at Tiffany's." 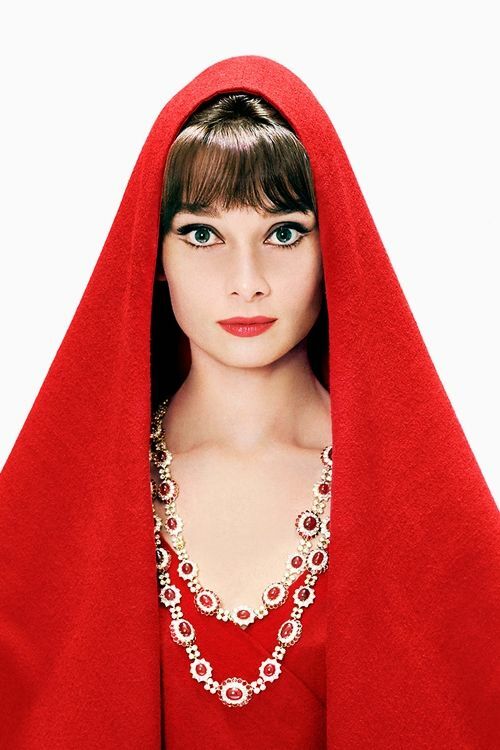 The quirky role was perfect for the slim, quirky Audrey. She was nominated for another Academy Award. 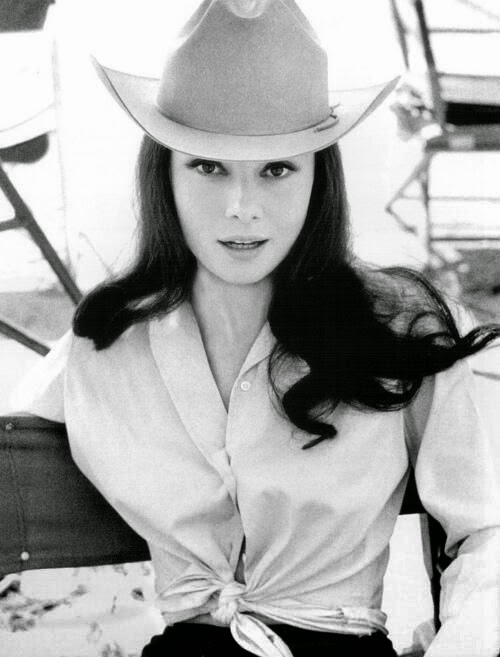 Audrey played a lesbian in "The Children's Hour" with Shirley MacLaine and James Garner. 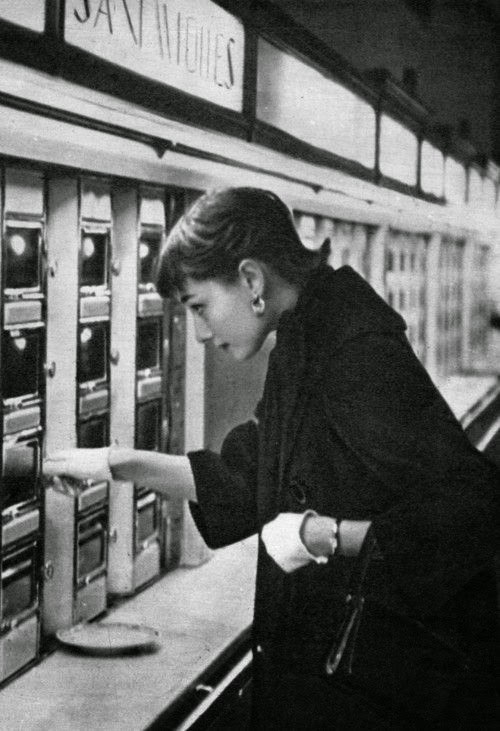 It was a controversial choice, and perhaps not the best that Audrey could have made. She was fine in her role, but the whole film seemed somewhat sordid and was full of nasty people doing nasty things to each other. 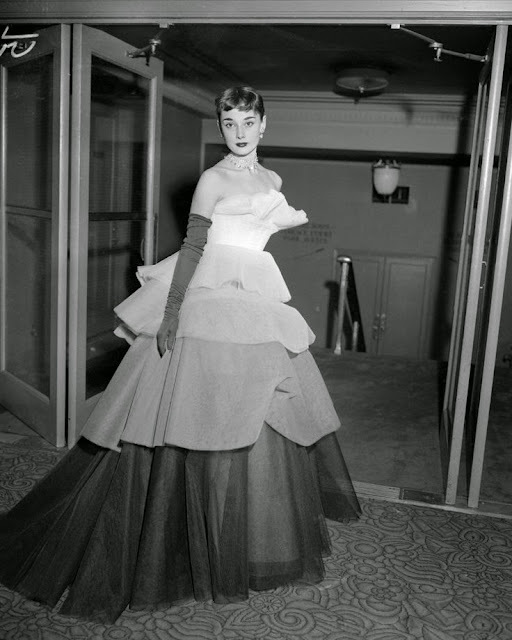 After this, Audrey's film career was on the downslope, though she still had a few tricks up her sleeve. 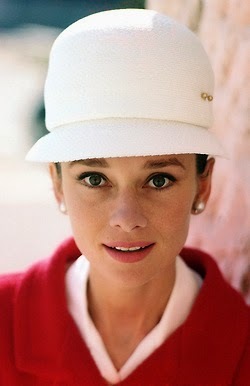 At this point, Audrey needed another star turn that would put her in a favorable light. 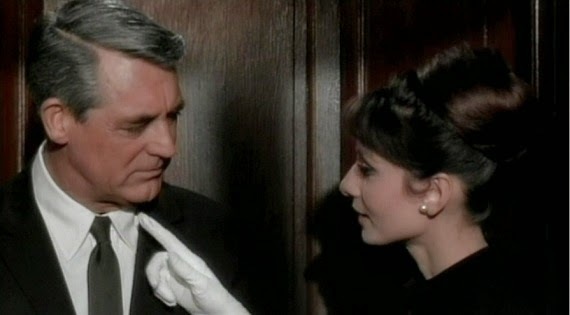 She starred with Cary Grant in "Charade" (1963), and was another success. 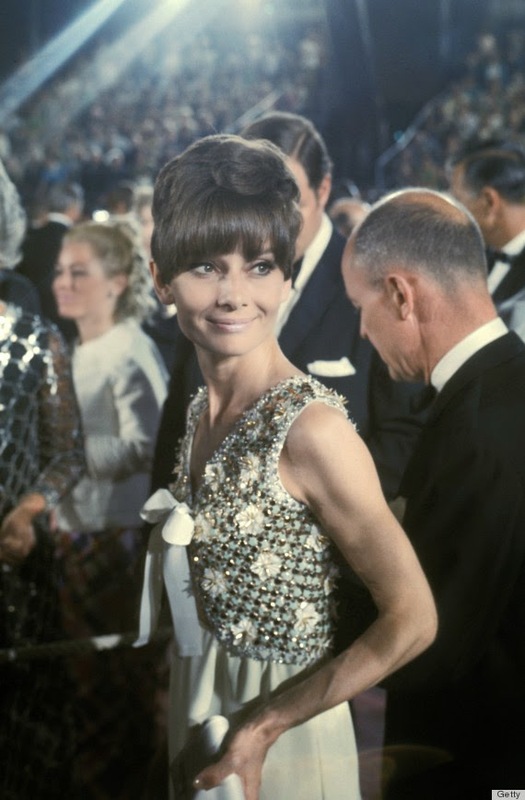 Grant loved starring with Audrey, and Audrey was nominated for more awards. 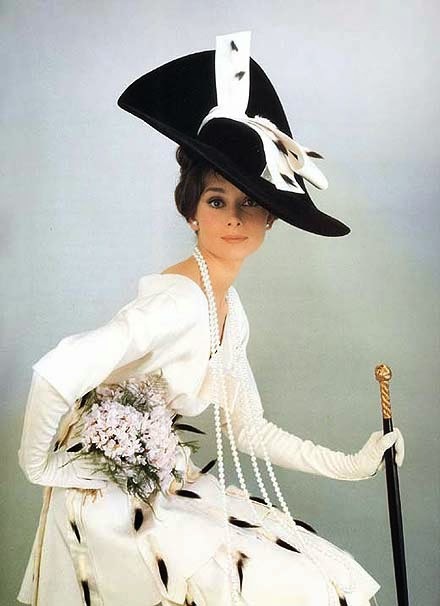 Audrey's next big role was as Eliza Doolittle in "My Fair Lady." 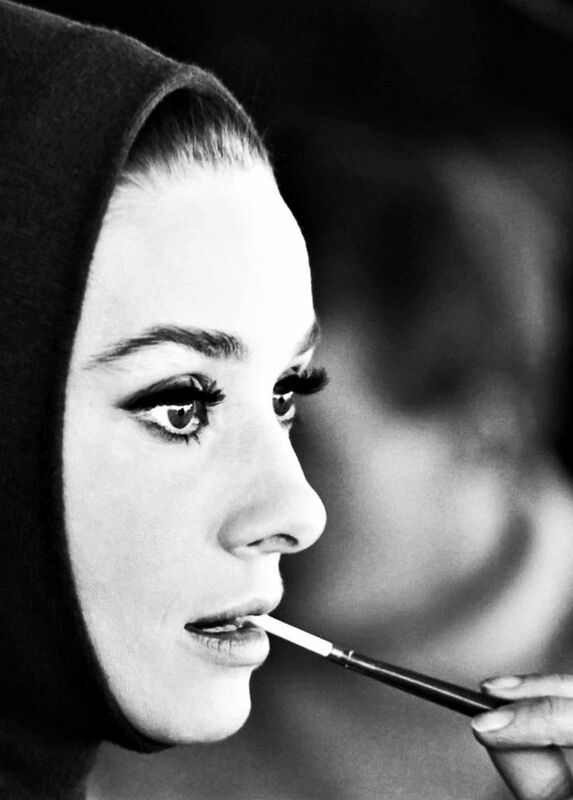 Audrey was sensational in the role. However, her singing was dubbed by veteran dubber Marni Nixon. 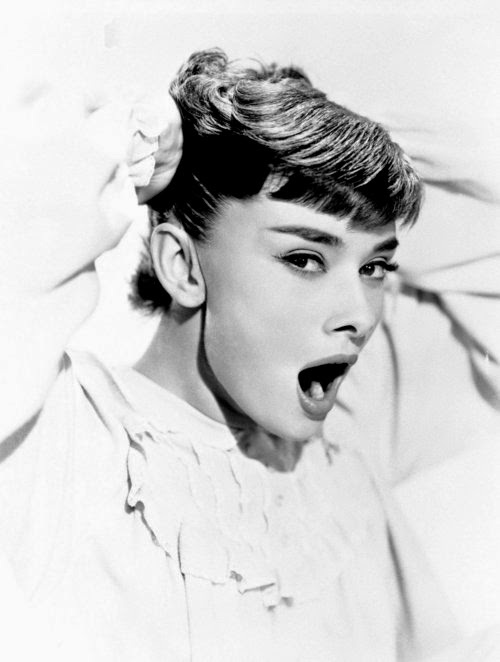 This was done not because Audrey could not carry a tune, but because the particular songs were not quite right for her own vocal range. 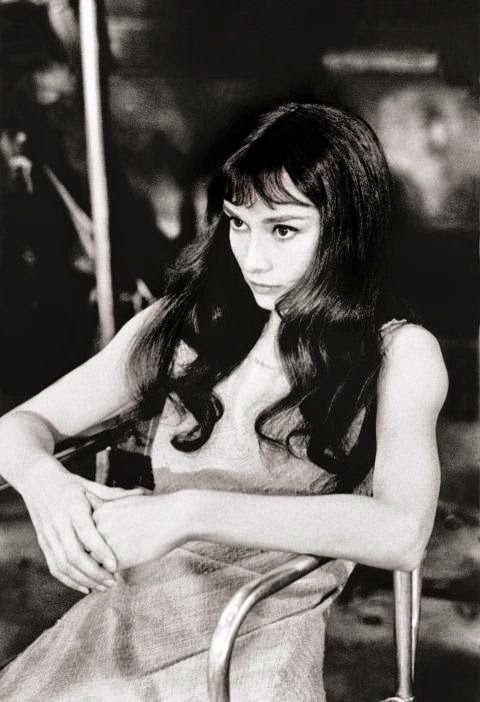 Audrey did not like this decision - her singing in fact was quite adequate - and stormed out of filming over it, but the studio had control of the process. 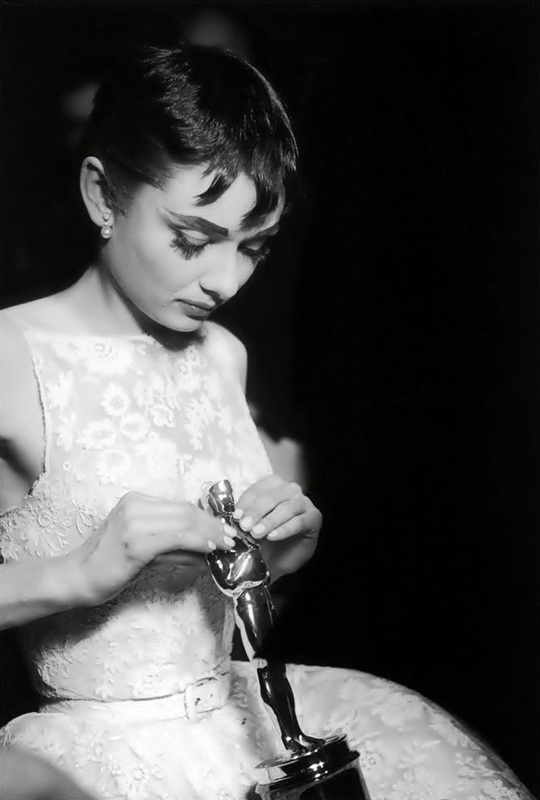 Some believe that the controversy led Audrey to not being nominated for an Academy Award that many thought she deserved. 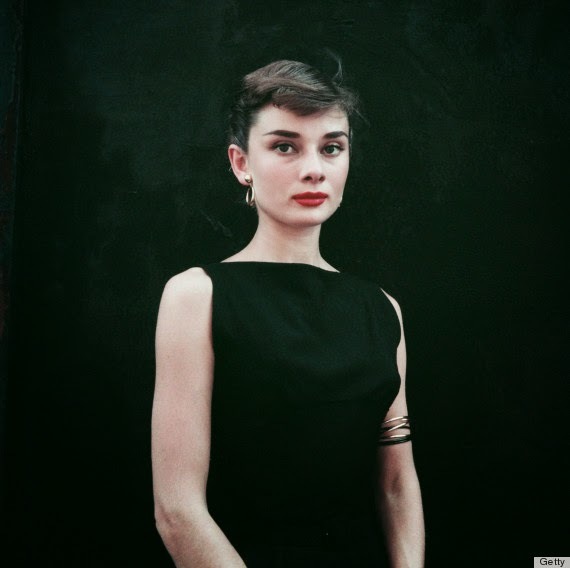 Perhaps more damaging to Audrey's future was that Audrey had been chosen for the role by Jack Warner over a likeable new British actress who had originated the role on Broadway, Julie Andrews. Warner thought that Andrews was not experienced enough. 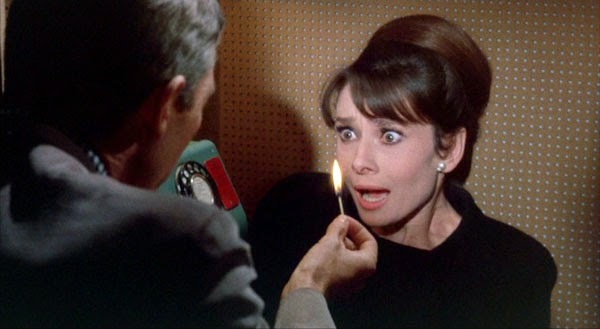 The whole thing blew up in Audrey's face when Andrews won the Best Actress Oscar for the role she took instead, "Mary Poppins." 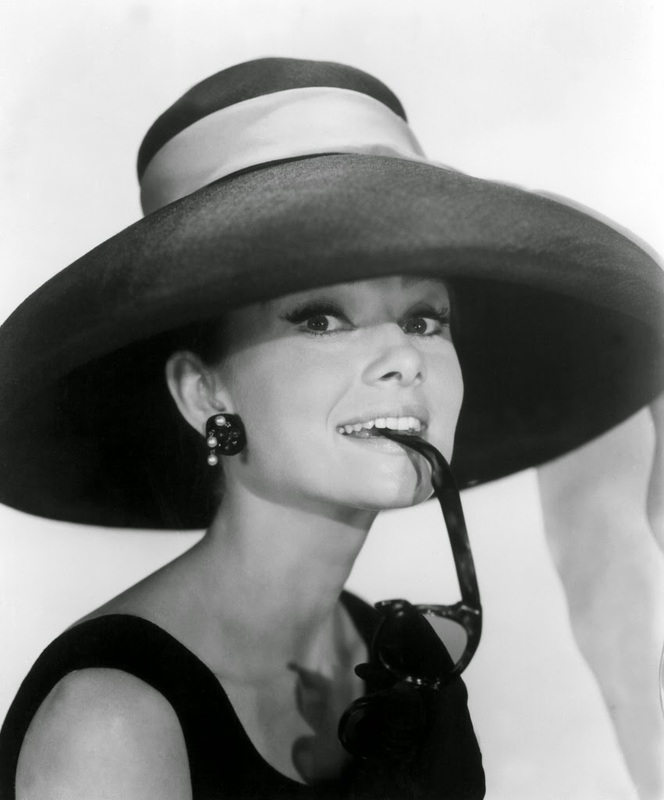 After that, Audrey was damaged goods through no fault of her own. She never again got a role that showed her to her best advantage. 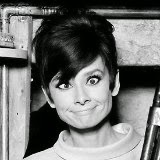 A few minor (by her standards) films followed, which included her fifth Academy Award nomination for "Wait Until Dark," and then Audrey essentially retired from acting in 1967. 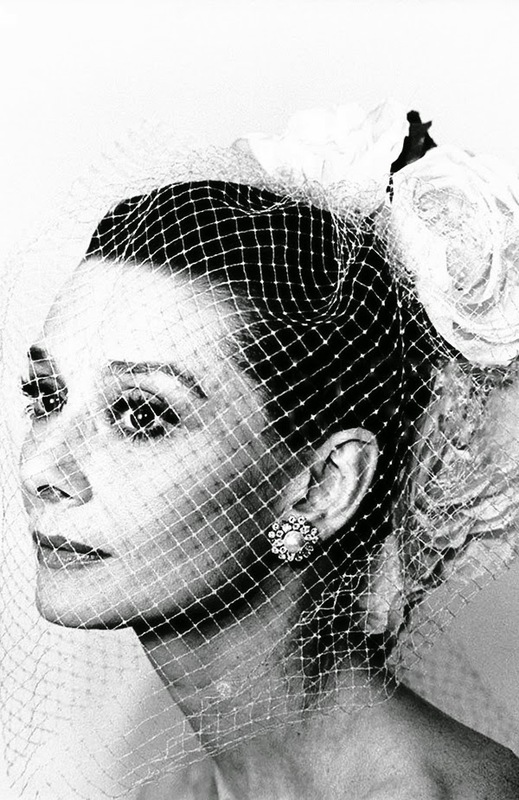 While a few final film roles awaited, including "They All Laughed" in 1981 directed by fan Peter Bogdanovich and "Always" in 1988, that was pretty much it for Audrey. She did perform in a variety of other projects, including a PBS special for which she won a posthumous Emmy and also a Grammy. 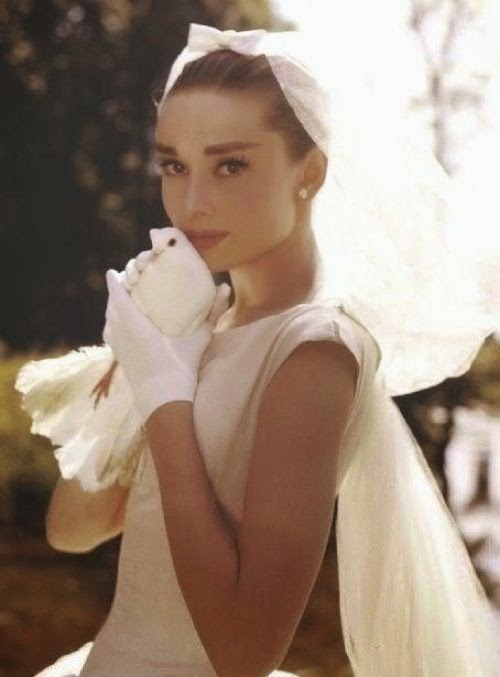 Throughout her life, Audrey had a few quirky eccentricities, such as having a pet deer that she brought with her everywhere, even on shopping errands. The fawn was named "Pippin," or "Ip" for short. 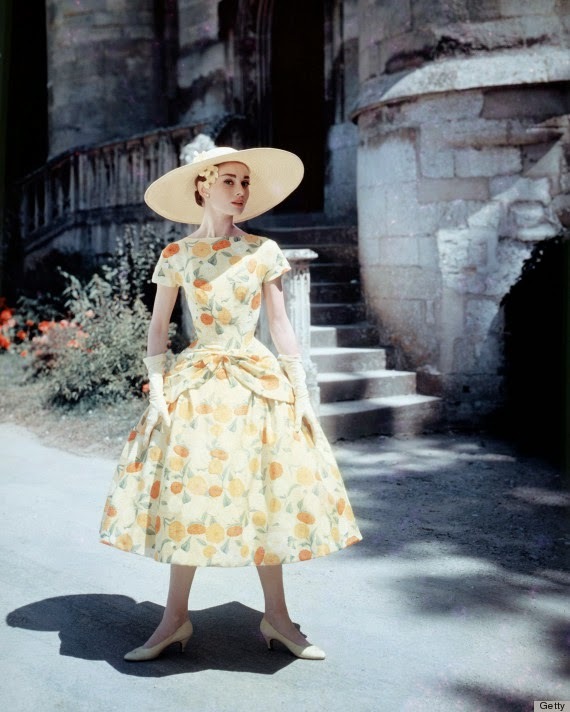 The story goes that Audrey was going to be working with a fawn for the film "Green Mansions," which was directed by her husband at the time, Mel Ferrer. 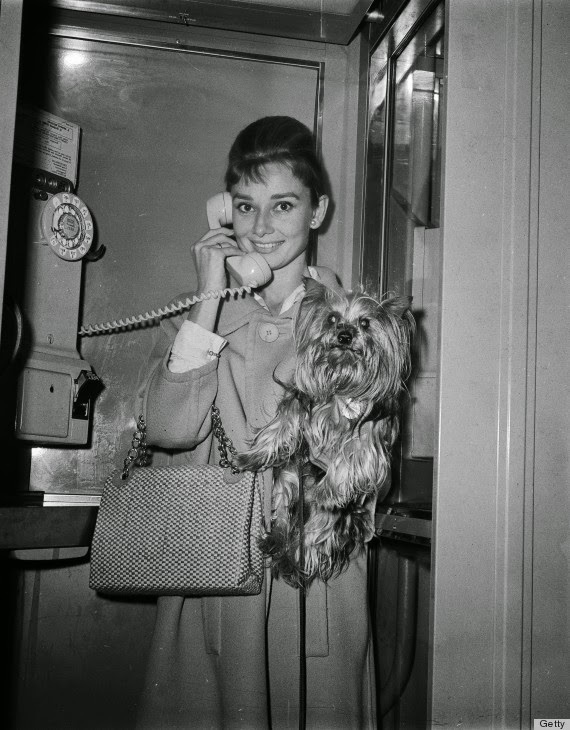 He suggested that Audrey take one of the fawn home so it would be more comfortable with Audrey before filming began. 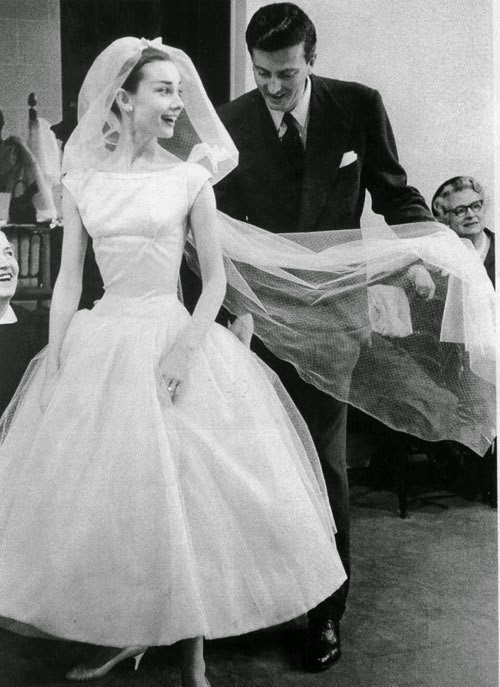 The fawn and Audrey were inseparable from that moment. 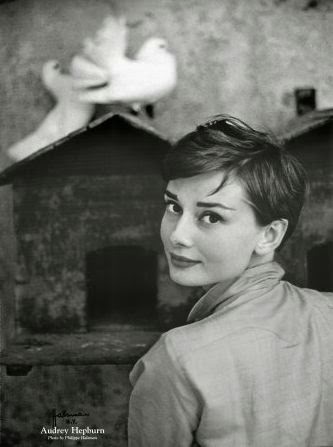 Bob Willoughby, a photographer on some of her films, became good friends with Audrey and got many personal snaps of her - including with the fawn. 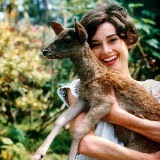 Audrey and her pet deer, "Pippin"
Audrey did a lot of charitable work for UNICEF, which hearkened back to her own humble origins in war-torn Europe. She journeyed to impoverished countries such as Vietnam and Somalia. 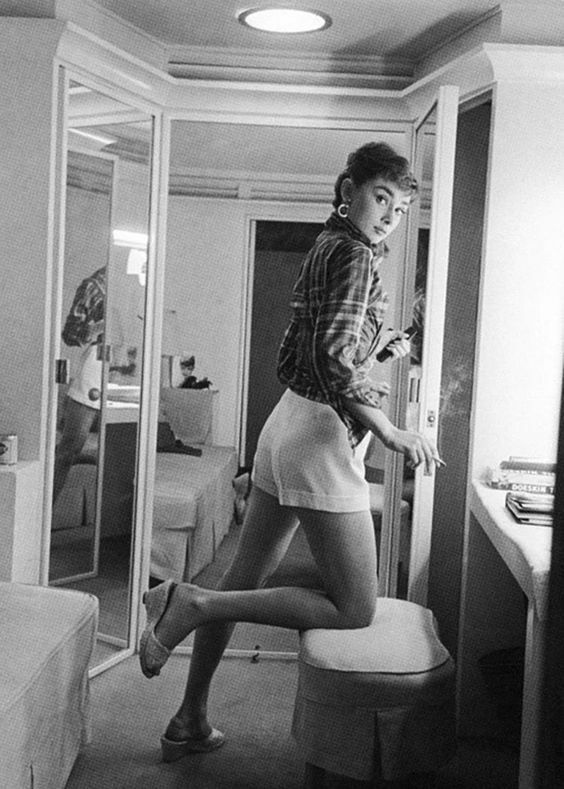 A famous shot of Audrey snapped in her dressing room during the 1950s. And you wondered why smoking was considered glamorous. 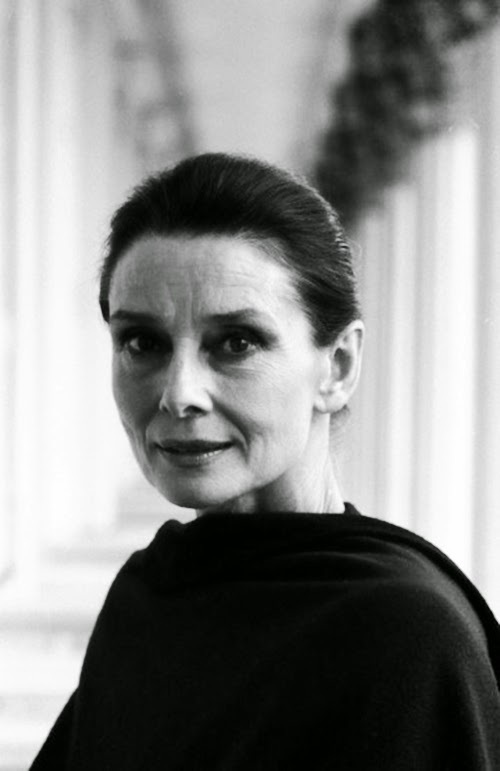 Audrey became sick after her trip to Somalia and was diagnosed with abdominal cancer. 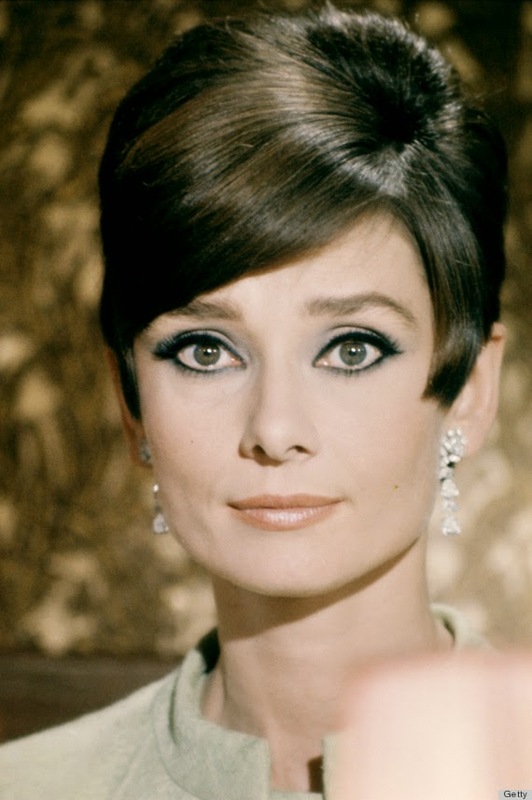 Audrey's cancer had spread too far to be treated, and Audrey died a few months later. 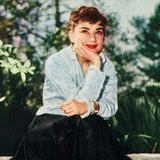 Her passing did not get nearly the attention that it deserved because she had outlived her peak period of fame. 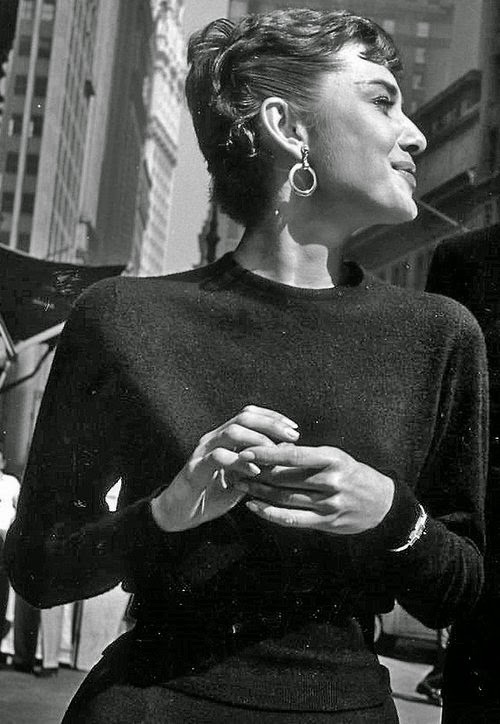 Her countless fans, though, deeply mourned her passing. 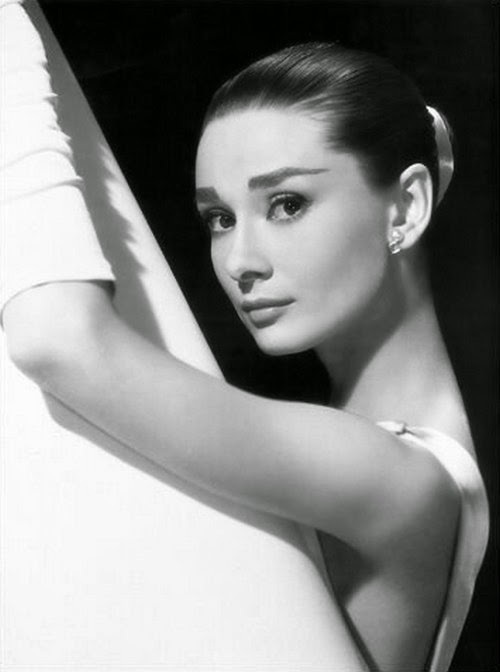 Audrey Hepburn's iconic image will always be remembered by those who treasure the true originals of Hollywood. 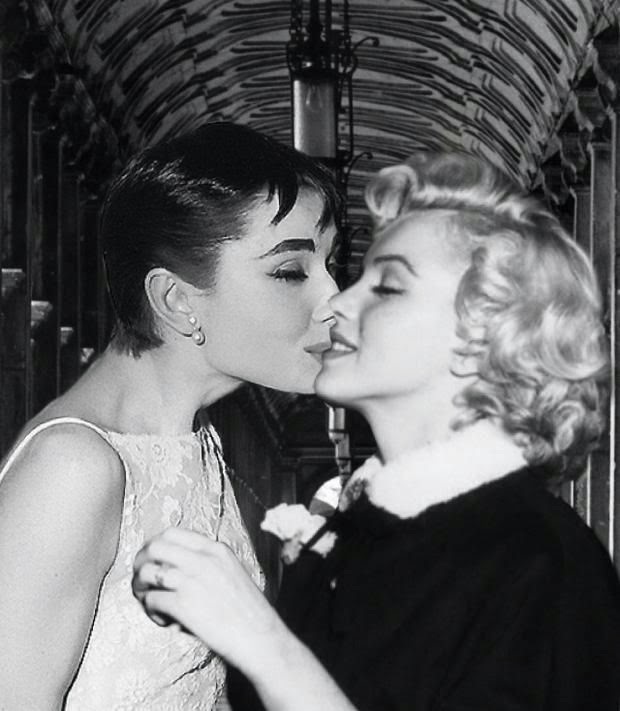 Audrey with Gregory Peck in "Roman Holiday"
This is a phony photo - this never happened - Marilyn Monroe actually was kissing her husband, Joe Dimaggio, and someone shopped in Audrey. However, it does get some play on the Internet, so might as well clear that up. 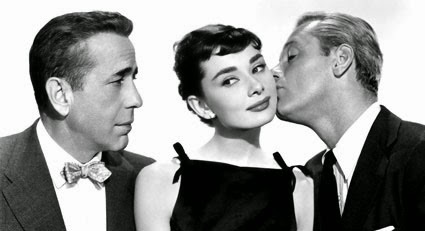 Audrey with Humphrey Bogart and William Holden in "Sabrina"
Audrey in "War and Peace." Audrey with Cary Grant in "Charade"
Audrey Hepburn with her Oscar for "Roman Holiday." 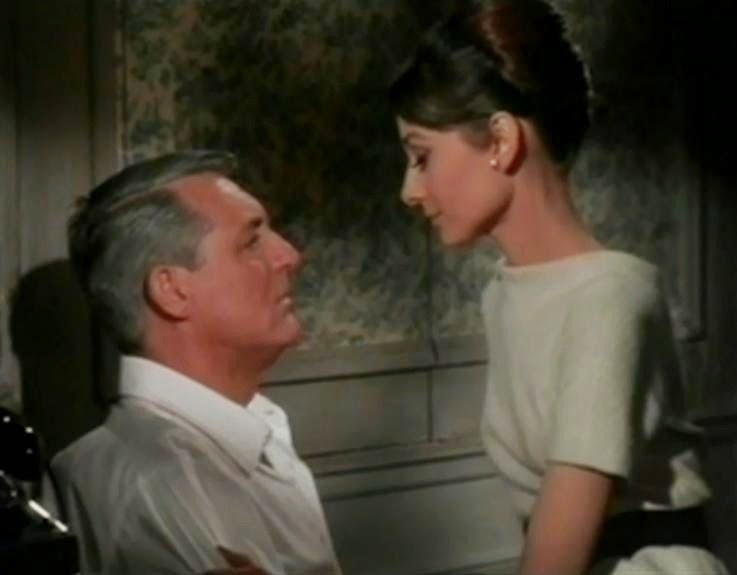 Audrey in "Breakfast at Tiffany's" with George Peppard.